Timeshare Exit Team Cost: What Should You Expect When You Need A Timeshare Cancellation? Timeshare purchases are usually one that ends up being on your list of regrets. It can leave you wondering what the timeshare exit team cost will be and if you will even be able to do a cancellation. You may feel hopeless. However, the situation is not hopeless, and a timeshare cancellation is most certainly possible. Read on to find out how to get rid of a timeshare with our timeshare exit team. If you bought a timeshare on a whim, you might start to regret that purchase. You are not alone. In fact, timeshares have topped the AARP list for most regretted purchases (exercise equipment, gym memberships, and “As Seen On TV” products, and expensive pet novelty toys rounded out the top five). When you think about your timeshare situation, you can understand why it would be on the top of the list for purchases consumers regret. High monthly fees and increasing maintenance costs turn your vacation fantasy into a financial nightmare. In addition to being expensive, timeshares are often not flexible. During your presentation, you were told you could swap weeks or trade in points to get your dream vacations. Turns out, this is next to impossible. You know that in-demand vacation spot you want? Everyone else wants it too. So it books up quickly and goes for top dollar. So you end up spending your vacation in Kansas City or Central Ohio, again. You know you need to get rid of your timeshare but aren’t exactly sure how. So you try a few ways. Maybe you decide that the answer to how to get rid of a timeshare is to sell your timeshare. Sounds like a great idea. You’ll get rid of your timeshare and maybe even make a little extra money. Except, selling your timeshare is virtually impossible in the current market. In fact, you may even have trouble trying to give it away. Timeshares are expensive, and many people would rather just pay for the vacations they want to go on, rather than a monthly fee. Since selling your timeshare seems impossible, you might decide to do some research on the timeshare exit team cost and try to get a timeshare cancellation. You see online that all you have to do is write a cancellation letter and think, why not try your timeshare cancellation yourself. So, you call the timeshare company. You explain your situation, whatever it is. Maybe you’re on a fixed income now that you’ve retired and can’t afford your timeshare, perhaps you had a new baby and don’t have time for vacations anymore, maybe you’re just plain tired of owning your timeshare. You tell the timeshare company you sob story, and guess what? They don’t care. They remind you that you signed a contract and your right of rescission is long over. You are stuck. If you decide to stop making your payments, your timeshare will go into default and eventually collections. You will ruin your credit and any future opportunities for financing. So you better just keep paying them. A timeshare cancellation is impossible. You may feel like the situation is hopeless. It is not. Here at Timeshare Cancel Center, we specialize in timeshare cancellation. We have an entire timeshare exit team who review timeshare contracts and get cancellations for our customers. We are the secret the timeshare industry does not want you to know about. Regardless of what the timeshare company has told you, we can help you get rid of your timeshare. Our timeshare exit team cost is affordable. Our only obligation is to you, our customer. We don’t work for the resort or the timeshare industry. Our goal is to help you get rid of your timeshare. We specialize in timeshare cancellations, and we are experts at what we do. Even if the timeshare industry has told you a cancellation is impossible, we can get rid of your timeshare. In fact, we enjoy the challenge. We are not a timeshare resale scam, and we will not pressure you to spend money you don’t have. We will get rid of your timeshare for you. 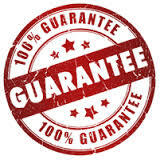 We are so confident that we offer a one hundred percent satisfaction guarantee on all of our timeshare exit services. Call us today to get rid of your timeshare. We are here twenty-four hours a day, seven days a week, three hundred and sixty-five days a year. We look forward to hearing from you!